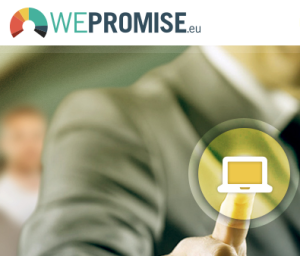 European Digital Rights has recently started a campaign in for the 2014 EP elections entitled “WePromise”. The basis for the campaign is a good one – it proposes a clear and simple charter of digital rights, and then asks for MEP candidates to support it, and for voters to pledge that they will vote for candidates that do support it. I’ve signed the pledge as a voter. I’ll be voting in the EP elections in Germany, and at the time of writing 7 German candidates have backed the pledge, including 2 from the Grüne (Jan Philipp Albrecht and Reinhard Bütikofer), the party I’d normally support. The problem is that as a voter I can only cast my vote for a party here, not an individual candidate. It’s the same in the UK and France too. Now, with Bütikofer 4th on the Grüne list, and Jan placed 6th, both should get into the EP again, so I’m sort of safe. But the election system in many EU countries, where lists are closed, prevents pledges like this really working. Conversely, if we were to look at this from the point of view of a party or an individual candidate on such a closed list, why would I actually want to sign? Yes, if I actually believed in the cause it would be fine, but such a pledge binds the hands of a politician with little guaranteed benefit in return. This, perhaps, is the reason why no candidate from the UK has signed so far. Of course the calculation is different in countries with open lists – Netherlands, Sweden and Denmark for example – where candidates can differentiate themselves from their parties by committing to things like this, and where candidates low down the lists can theoretically jump up a few places if they say and do the right things. More discussion about election systems for the EP can be found at the end of this Simon Hix EUROPP blog post. Jon, I wonder: what is the point of signing this petition if it is widely acknowledged that candidates do not keep to their promises?! We in the Pirate Party are in the process of finalising our candidates over the next few days and I am sure they will be happy to sign up. One of the key functions of this kind of initiative is to let politicians know that a certain issue is important to voters. The more voters draw attention to this the more likely it is that prospective MEPs will sign up. And then it will be easier to hold them to account in the future. So in the run up to Euro 14 it is not about electoral systems – that is too late to do anything about. What we can influence is how many express interest in digital rights – and to be clear that that moves votes. Interesting and something I am pretty supportive of. However you know where the devil will be in these details. 1) Almost entirely in agreement, but in all languages, all official or all languages? Even so have they considered the cost and bureaucratic implications of this? 2) Yes, but not sure if supporting he EU’s right to overturn national positions is appropriate. In the UK absolutely. 4) A series of issues with this one, but this “I will support initiatives to ensure that publicly-funded works are made available in the public domain.” is bang on. 9) In principle but this looks worrying… “representative civil society” who he, and who funds he?